With the lifestyle become busier every day in Singapore, it is becoming extremely hard to allot time to various domestic chores such laundry. Doing proper laundry is an activity that consumes time, and with the kind of life that people are leading, it is hard to allot such time. This is what has resulted in the growth of laundry cleaning service industry with tens of mushrooming companies every day. You can now pay someone to do your cloth cleaning. But do you know what methods the service provider is using to have your cloth cleaned? Is it laundry cleaning or dry cleaning? These are people who have specialized in laundry and keeping your clothes as good as new. One mistake that commits while doing the laundry ourselves is putting everything together. We don’t know how certain garments should be cleaned considering the difference in material. You will possibly see someone soaking jeans together with white shirts. With professional, they have the techniques on how to clean each and every garment. They are also aware of what process certain material should follow for the end results to be impressive. This what it means by being a professional –knowing what to do and how to do it. Convenience is a critical factor to be considered in Singapore. You need someone who can offer convenience services and nothing else. One thing with laundry cleaner is that you can have a schedule when they will be doing your laundry. Maybe once in a week is enough but on a particular day and mostly time. Laundry cleaning can be very convenient if you set a workable schedule with the service provider. They will pick up and drop off the laundry at your place. You may also decide to drop your clothes and pick them up on the agreed time. They are a convenient way of having the laundry done. Laundry cleaning is not that expensive. Charges per week or the agreed time is very low. You cannot compare it to doing it yourself. In fact, they make it cheap in a manner that anyone can afford their services. The amount of laundry that they will do for you and the weekly charges or the charges per laundry session is worth it. They may also include other services like free picking and delivery to make sure that you have used the minimum amount to have your cloth cleaned. If you have busy working days where every minute matters, professional laundry cleaning would be the best choice for you. For you to do a proper laundry, it will be a time-consuming activity. This might be impossible if you are on a full-time job. The time that you could have used in doing laundry can be used in other productive activities other than trying to save small money. By hiring these professionals, you will be saving plenty of time and probably make more money than what you could have saved by doing the laundry by yourself. When professionals do the job, trust me they will do it clean and smart. Have you ever realized that your clothes seem to fade with every laundry? This could be a result of poorly done laundry. If you take your laundry to an armature, then just expects such things to persist and you will soon be going to buy new clothes. 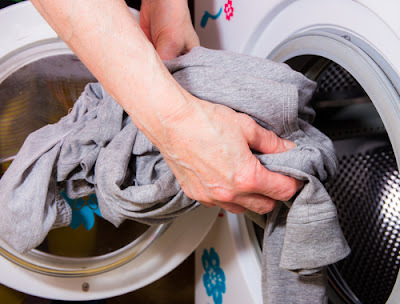 With professional laundry cleaning, don't worry about your cloth being ruined. They can handle everything to make ensure that your clothes remain as good as new. Do you have time and the equipment to do ironing at home? Not one can afford mostly the time in Singapore to do this. Finishing is a major benefit of laundry cleaning and the reason why many especially young people hire laundry service providers. They will give your garments a professional finishing by ensuring that it is wrinkle-free, clear rumbles and make sure that no crease is out of place. All that you need is pick the cloth and wear it. You will not need to stand over an iron board to straighten your garment. One of the leading causes of cloth damage is the moths. These are insects that feed directly from the garment thus destroying it. Profession laundry cleaners know this, and they ensure that your clothes are free of moths. In most cases, they will use the mothproofing chemical that treats the fabric and protect it from moth attack. The chemical is odorless. Cloth treatment is a service that you cannot get from the armature cleaners or if you decide to do it yourself. 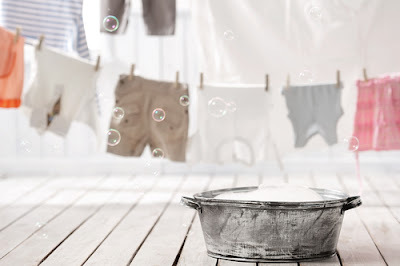 If your garments have stubborn stains, then you should consider the service of the laundry cleaners. It is not easy to remove stains such grease from the garment especially if it is bright in color. These guys have the experience, solutions, and equipment to deal with such stains very effectively. Whether it is a solvent-soluble stain or water-soluble stain, they know the best procedures to remove it without destroying the garment. Just take the laundry to them, and they will do what needs to be done. 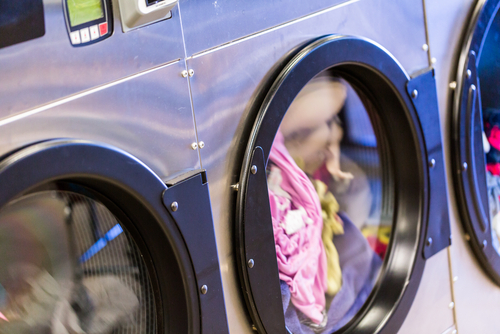 Using the laundry cleaning services will save you money over time. From the many benefits that are associated with laundry services, you will realize that the frequency of buying new clothes has been reduced significantly. You will also understand that you are making a lot of money by working for the extra time that could have been used to do laundry. The money that you will have used in paying for the laundry will be less compared to running your machine at home. Try professional laundry cleaning, and you will see positive changes in your laundry. These are only a few of the main benefits of doing laundry cleaning with a professional service provider. The benefits using professional laundry cleaners outweigh the idea of doing it yourself. You will plenty of time to do your things and mostly if you already have a working schedule with the service provider. They are very convenient, and you will get value for the money paid.